They’ve hit the trifecta! 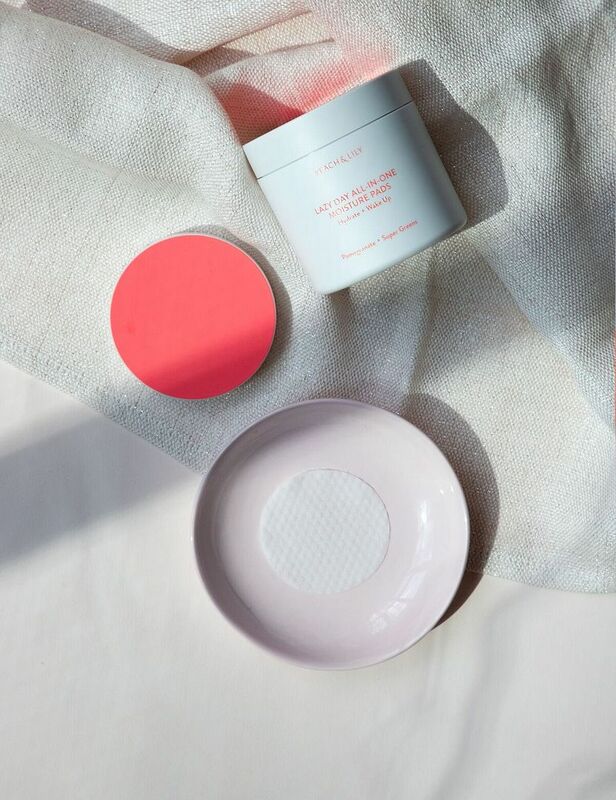 Our friends at Peach and Lily have struck it big with their Lazy Day All-in-One Moisture Pads that do triple duty as a toner, essence and moisturizer in one, small round pad. Specializing in carrying the best brands in Korean beauty products, Peach and Lily also has their own line of amazing skincare products. The Lazy Day All-in-One Moisture Pads are soaked in a unique blend of moisturizing hyaluronic acid, skin barrier-protecting ceramides, and an assembly of fruit and veggies worthy of a smoothie filled with healthy antioxidants. With a quick swipe, your skin is hydrated and balanced with no greasiness or stickiness. Heck, you might not even need makeup after using these little wonders! All the wonderful Peach and Lily formulas are free of synthetic fragrance, sulfates, formaldehyde, phthalates, synthetic dyes, parabens, mineral oil, silicones, EDTA, MEA/DEA/TEA, PEGs, and polysorbates and are never tested on animals. We all have those lazy days (or days when you’re just too exhausted after your TrailblazerGirl adventures! ), so save yourself time and effort and add the Peach and Lily Lazy Day All-in-One Moisture Pads to your daily skincare routine!